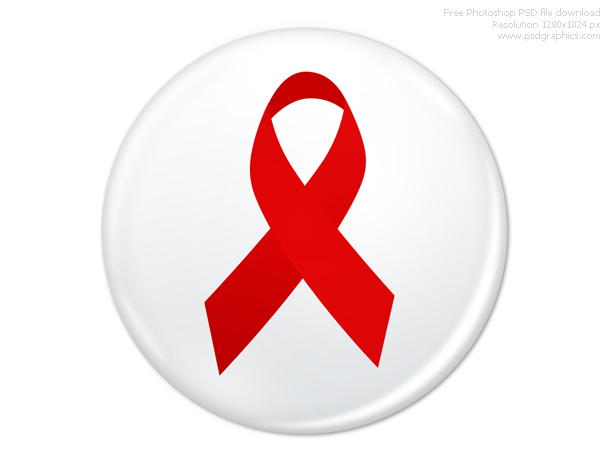 World AIDS Day badge created with Photoshop. Healthcare and medicine related graphic in PSD format. Circle shape, white badge with a red ribbon on it. A blank white badge is also included, for editing download PSD source.